Far-right thug Tommy Robinson is still proud as punch – literally – of his own abhorrent, criminal, racially-motivated behaviour. So much so, the English Defence League co-founder has voluntarily released a video of himself attacking a man believed to be a migrant, proving once and for all he’s a massive twerp who believes his own hype. Robinson, whose real name is Stephen Christopher Yaxley-Lennon, was in Rome to spread bile during the Italian elections when he punched a man in the face, after he claims he was ‘set upon’. The altercation, located in what he described as a ‘no-go zone’, began with the migrant’s clear distress at being filmed as he walks towards Robinson and his camera crew saying, ‘You can not’. During the heated exchange, 35-year-old Robinson threatens the man by saying he would ‘put him to sleep’ for touching the cameras. There is only one way this is going to go. You’re going to end up knocked down unconscious. 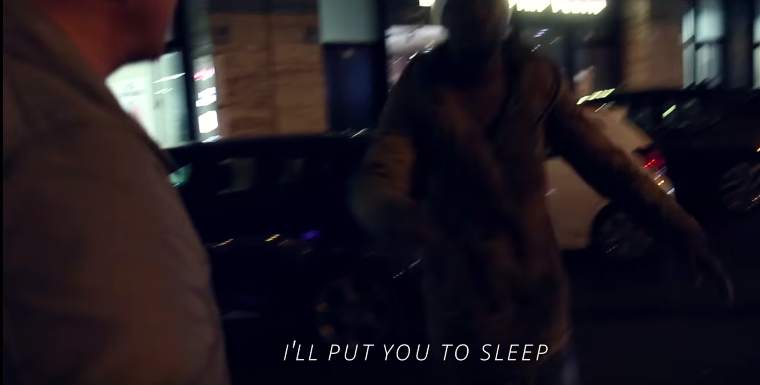 ‘I’ll put you to sleep, bruv. I’ll put you to sleep. 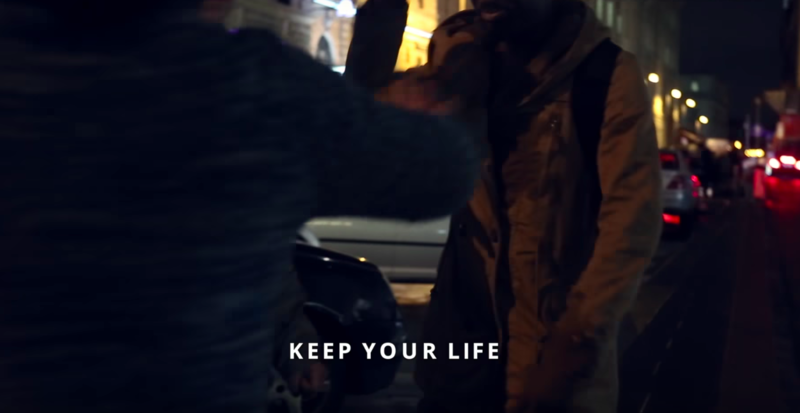 As the man continues to protest, he says ‘keep your life’, which the already riled Robinson illogically interprets as a death threat. Robinson then throws a right hook which catches his adversary on the jaw. Police then arrive at the scene to split the two parties, and Robinson ends up leaving the area in a car before giving the cops a quick thumbs up for letting him go unpunished for an alleged assault. Hilariously, Robinson seems to believe this display of playground tactics qualifies as political activism. Newsflash: It doesn’t. It’s just violent bullying filmed to incite hatred. 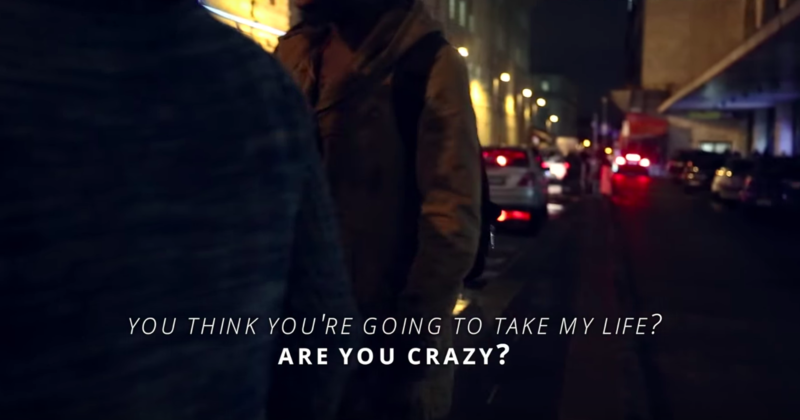 In a video posted to his YouTube channel, in the aftermath of his unprovoked assault, Robinson criticises the so-called ‘readiness with which these migrants are willing to attack’, blissfully unaware of the tragic double standard. 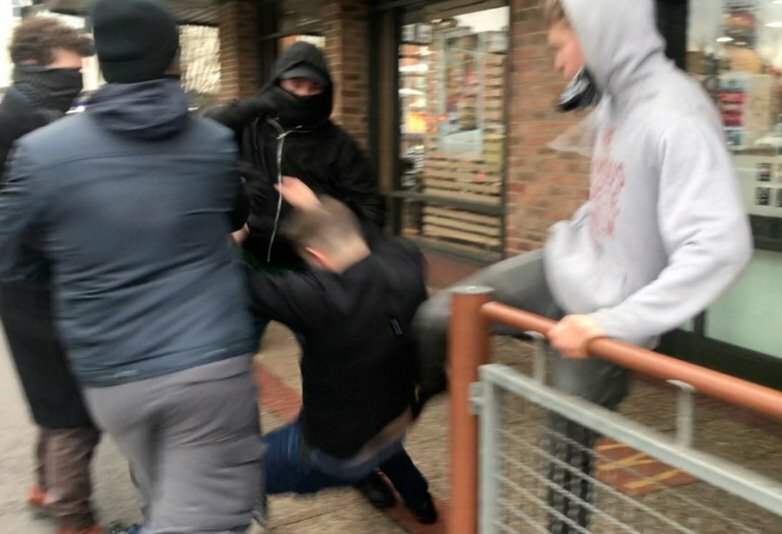 It comes just days after Robinson filmed the moment he claims he was attacked by a group of ‘left-wing extremists’ outside a McDonald’s in Haringey, London. He exits the fast food chain swinging, in the footage which was shared online, moments after asking if the group of unidentified masked men wanted to go ‘one on one’. Police were called at approximately 3.45pm on Saturday, March 10 to reports of a disturbance on Green Lanes, N15. Officers attended and spoke with a 35-year-old man who alleged that he had been the victim of an assault. He did not require hospital treatment. There have been no arrests and enquiries continue. Meanwhile, Robinson continues to provoke and antagonise online, as he boasts and jokes about his penchant for ‘scrapping’. I’ve done more scrapping as a journalist than I did going football. Robinson previously founded the European Defence League as well as being co-founder and spokesman for the English Defence League.